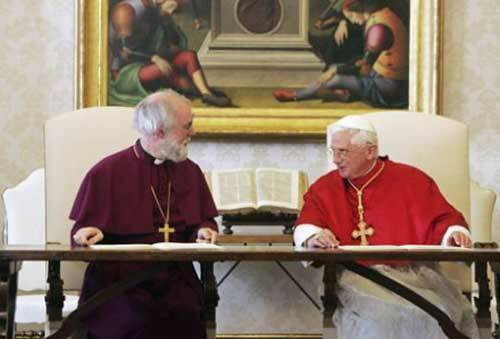 In a move that has taken many by surprise Pope Benedict XVI and Archbishop of Canterbury Rowan Williams today signed an agreement on sacraments in cyberspace. The document, In recognitionem sacramenta in virtualis mundi (IRSIVM), has been years in the preparation. Theologians were caught out by the rapid growth of cyberspace and the development of such things as a cathedral in Second Life and online chapels. Most theologians initially rejected any talk of sacraments in the virtual world. Then the Bishop of Wellington decided to provide oversight for the Cathedral in Second Life. Since that time a joint Anglican-Roman Catholic commission has been working virtually around the clock. The top-secret commission was called SACRAMENT (Sacraments for Anglicans and Catholics Real Alternative Meanings Evolving because of New Technologies) and included top-level representatives from the Vatican and from the Anglican Communion. Observers were provided by the Eastern Orthodox and the Old Catholics who had speaking but not voting rights. 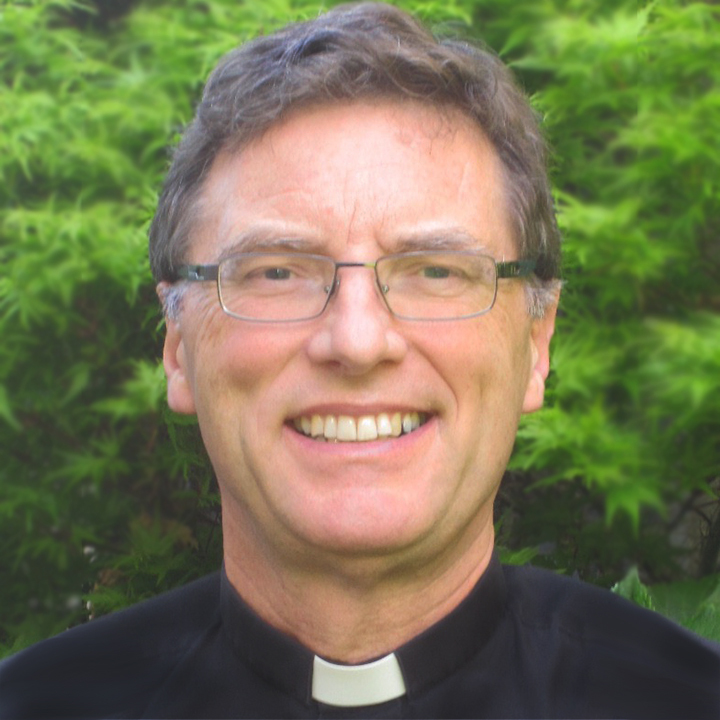 Anglicans and Catholics have a similar approach to sacraments and were able to come to agreements in the virtual world that no one has yet managed in “first life”. The Old Catholics, who are in full communion with the Anglicans, may sign up to the agreement after the next meeting of their International Bishops Conference (IBC) but the Orthodox have a different approach to sacraments and are slower to be enthusiastic about the agreement. The agreement has been put under the patronage of St Hugh of Grenoble (apparently St Melito of Sardis was a second option). In recognitionem sacramenta in virtualis mundi draws on the traditional theology of “Baptism by desire” (Baptismus Flaminis)and “spiritual communion” that both Anglicans and Catholics accept. The grace of some of the sacraments may be provided even though the “outward sign” is not materially present (“Symbolum rei sacrae, et invisibilis gratiae forma visibilis, sanctificandi vim habens”). The document draws extensively on Augustine, “In nullum nomen religionis, seu verum seu falsum, coadunari homines possunt, nisi aliquo signaculorum seu sacramentorum visibilium consortio colligantur” (Reply to Faustus XIX.11). There are some conditions and exclusions in the document. Marriage and Ordination cannot occur solely virtually (IRSIVM 4:7 & 5:2). Virtual baptism and absolution must be followed as soon as practicable by baptism or absolution in “first life” (IRSIVM 3:6 & 7:3). Many theologians have been drawing on the doctrine of ecclesia supplet (the “Church supplies” what is lacking in an action). In the end the document does not condone this avenue of thinking but leaves this path open to further study. “Ecclesia non supplet quod Ecclesia non habet” (IRSIVM 9:7). 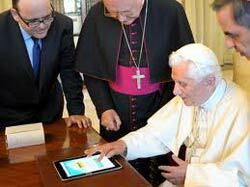 The Vatican has been embracing cyber-technology significantly. The Anglican Communion is quickly catching up, and has decided to appoint the next Archbishop of Canterbury by whichever Church of England bishop has the most twitter followers. Roman Catholics accept Archbishop of Canterbury’s orders? ← is this a sentence? Brilliant little piece Bosco. I fell for ir almost all the way! Happy April Fool’s day on me! Haha – my blood was virtually boiling until I read that the next ABC would be appointed based on the number of Twitter followers! Brilliant piece of 1/04 work. …………. and then I remembered that NZ is 12 hours ahead of us in the UK timewise ………………….. NICE ONE!!!!!! I read this at 12:30 pm on March 31. The International Date Line: believe in it. You very nearly had me! You had me hooked until the part about the next archbishop of Canterbury being decided by number of Twitter followers. April Fool! Ha! Ha! HA!!! That wicked kiwi humour. Run away, Old Catholics, run away! I had to remind myself, Bosco, that you’re on the other side of the dateline! The Latin “quotations” were a nice touch (though I don’t think Roman documents are ever numbered by “chapter and verse”; they seem always to use sequential paragraph numbers). Given how much nonsense already goes on in both Communions, this lark would almost be credible — were it not that Rome will never, it seems, recognize our ordinations, confirmations, absolutions, or eucharists, regardless of whether they administered virtually or in “first life”. … and a happy April Fools’ Day to you Bosco! Ah yes, I see it is already April Fools in the Land of the Kiwi. Brilliant! And too too funny, which is American for: very hilariously funny. IRSVM rolls trippingly off the tongue. April Fools, well played! One of the issues to tackle with cyberspace is how to cater for readers being in different time zones around the world. I often wonder if I qualify as an American Seventh Day Adventist when I go to church on Sunday morning in New Zealand. There may be special settings on clever watches to tell those on international flights when time-critical observances should occur, but how can you have anything that assumes it is, say, Sunday morning for all those involved? Or even April? One wonders. I am probably a bit late to raise the issue now, but: What happens with feast “days”?? Instead of the tradition of fish on St Amerval’s day there probably would have to be time agreed when most people can get fish online and virtually eat it? You are so bad. In a good way of course. But so so bad. Happy 1 April Bosco! I have to admit, this is good….. will be interesting to see how many have egg on their faces! Credibile est ergo Ridiculum est. THis has got to be an April Fools Day joke?! Lovely work, Bosco. Nice to see some of us no-humour Anglicans getting into the spirit of the day! Maybe next year I should put something out there that could just possibly be true and gets the blogosphere excited for a day – e.g. Archbishop of Kenya to become next ABC, or Anglican Mission in England appoints its own bishop. A most enjoyable read! Although this started to appear on face book walls in UK yesterday, i particularly wanted to wait until the start of the new month to fully appreciate this momentous event. I’m off now to choose which bishop I’m going to follow on twitter! Oh my! What a surprise, indeed. The proposal was fast-tracked through the process without one leak, which is amazing. Kudos to the pope and the archbishop for acknowledging what would soon have been inevitable anyway. June Butler is my name, and I’m in Bosco’s game. One can only hope that some compromise might be made allowing those who use or need virtual worship, to experience the sacraments might be be made in common recognition of the needs of all who worship our Lord. Some have no other way. When they come, they do so in reverence and in spirit of truth and grace,in the name of our savior Jesus Christ. For liturgy ,prayers, and guidance for their spiritual life. You had me going there for a minute! Excellent, it’s had me giggling all day. David, I have heard stories of the consecrated elements being sent in a package by bus… Blessings. I actually proposed a plan to get consecrated elements to parishes and missions in our diocese that covers a number of northern Mexican states, which are without the regular services of a priest, by parcel post. I suggested a weekly service specifically to consecrate the elements in the church used by our bishop for his offices (we have no cathedral) but was basically ignored. To Bro David from David (if that’s not too confusing!). Your plan sounds great for places that you describe, where the practicalities of “being church” necessitate it. I’m sure that if I were there myself, I would appreciate it. I may have slightly overcooked my own April Fool contribution. I themed it on Palm Sunday. Unfortunately one American pastor took it so literally, he claims he included it in a sermon. It is left field enough for me to consider trying to send it as a viral email lol. Let me know what you think. Very good, Nick! Well done! The real question is, what is the “American pastor” doing preaching if he cannot even read Hebrew? 😉 Blessings. Or even make use of Google Translate.